Brown hamburger, onion, garlic and chili powder. Add corn, salsa, sauce, and olives. Cook until heated. Make cornbread batter in separate bowl, according to directions. 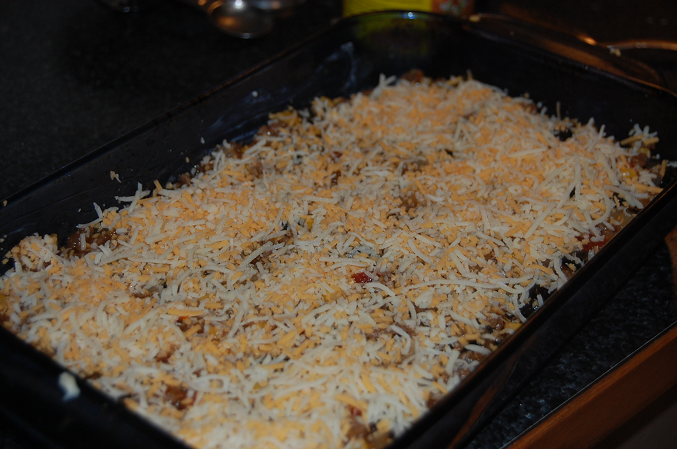 Pour meat mixture into oven safe dish, cover in cheese. Add cornbread mixture to top, smooth over. 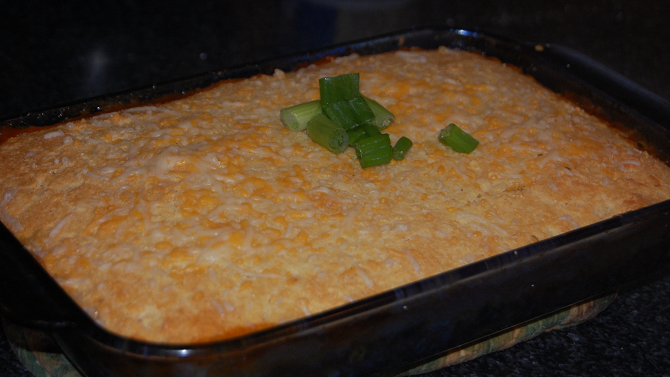 Bake at 350 for 30-35 minutes or until cornbread is done. TA! Was yum! And easy too! And hey, you should be happy – I tried it first…you know, to save you the troubles!